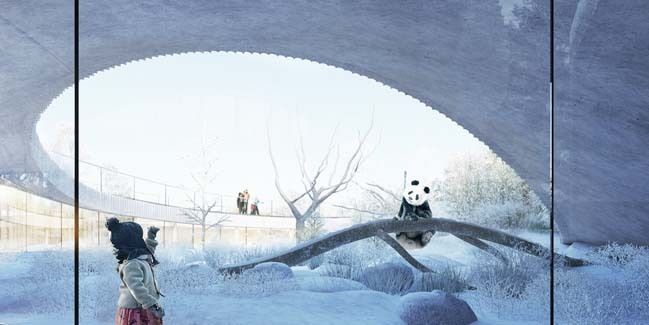 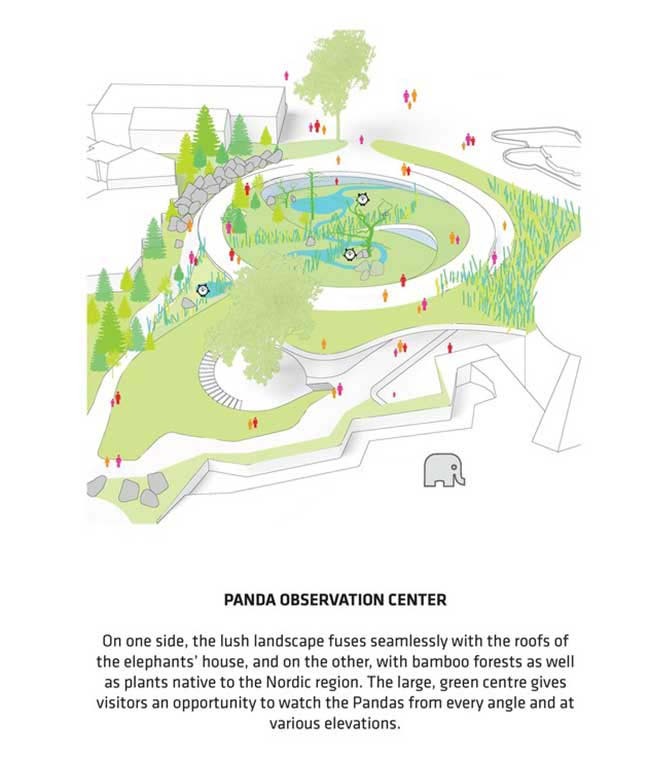 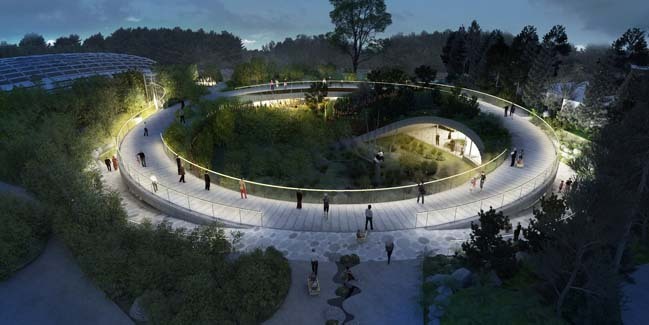 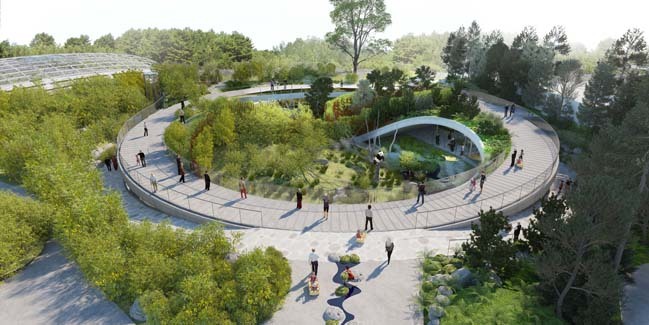 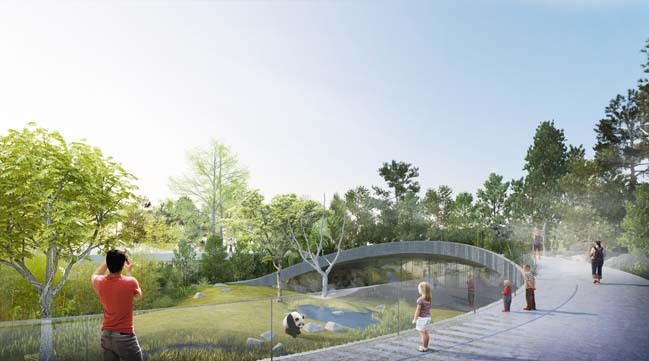 The architecture firm Bjarke Ingels Group has proposed the design of new Panda House with a circular shape and is formed by the surrounding existing facilities at the intersection of multiple walkways. 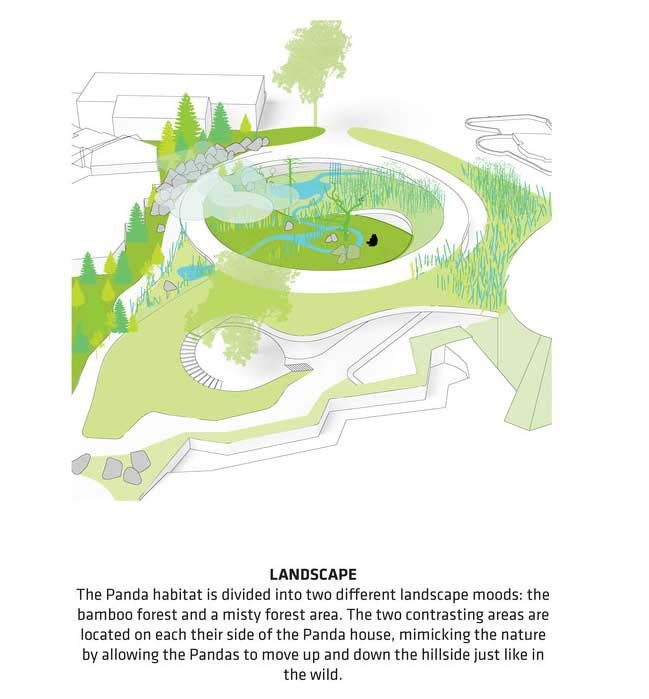 Project's description: Panda House responds to the species’ main threats to extinction - habitat loss and fragmentation - by providing a safe and contiguous environment that’s also conducive for reproduction. 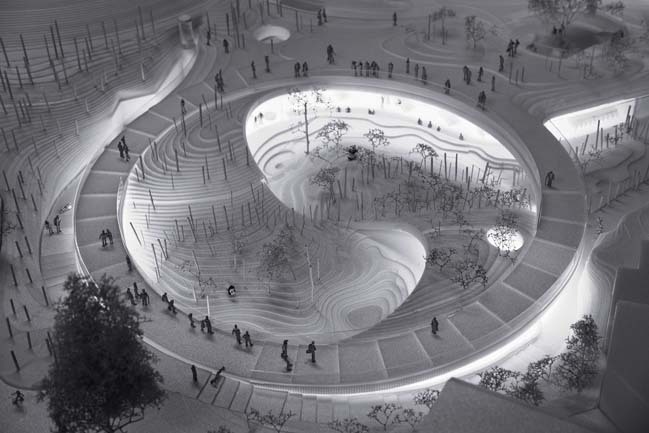 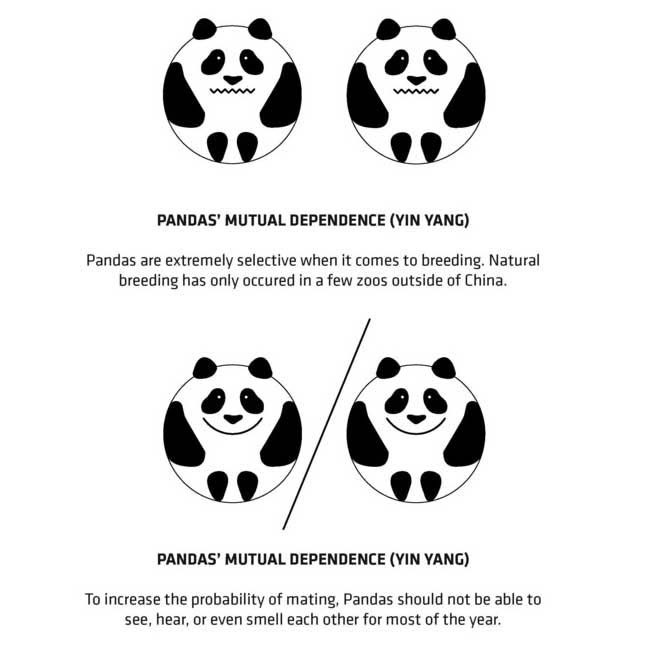 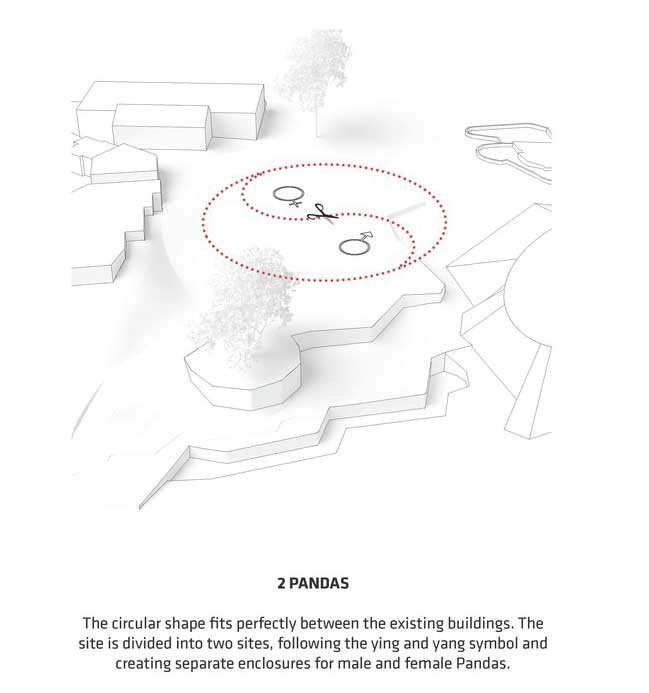 We proposed a circular shape for the design – befitting the site perfectly between existing buildings and enabling the literal yin-yang symbol to create separate enclosures for male and female pandas. 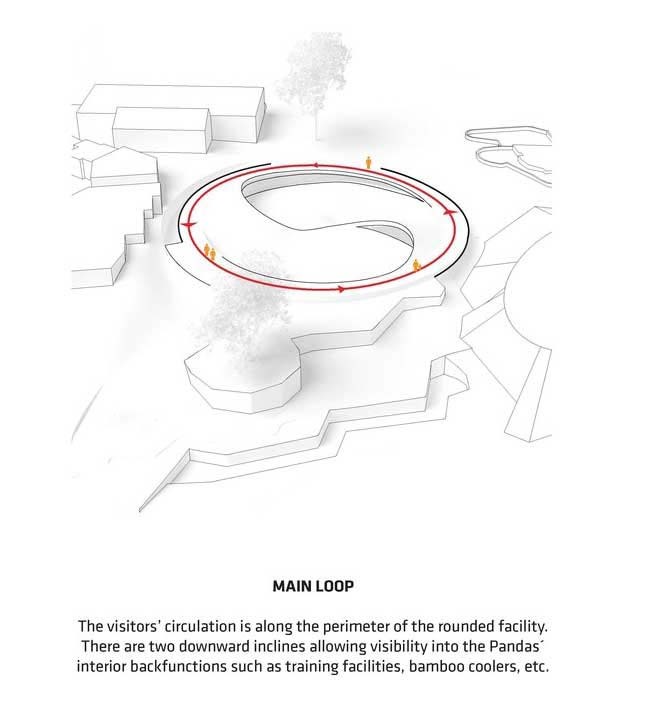 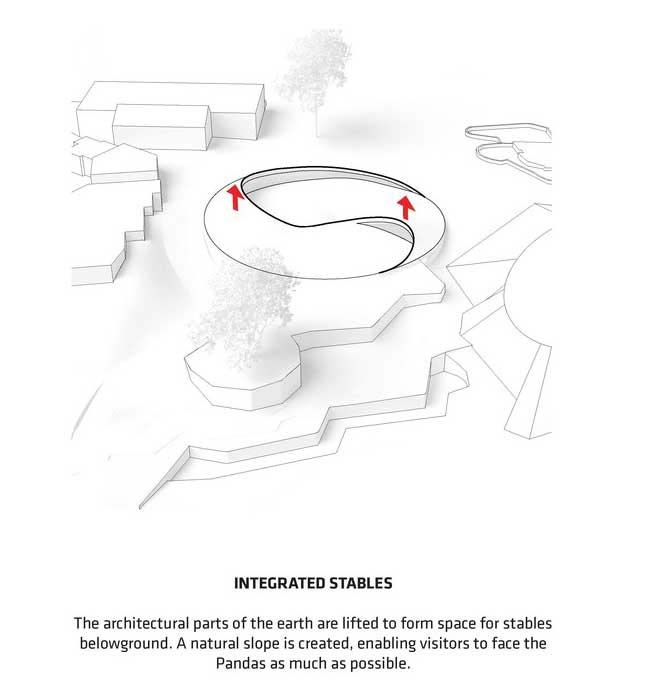 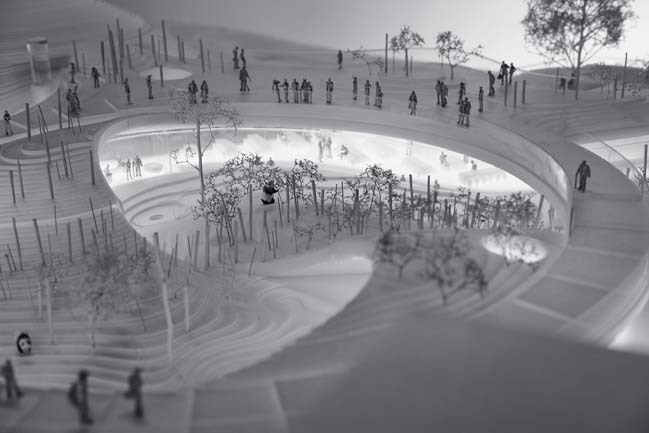 The architectural parts of the earth are then lifted from either side of the “yin” and “yang” to form space for stables belowground, simultaneously creating an incline to naturally face the pandas toward the audience. 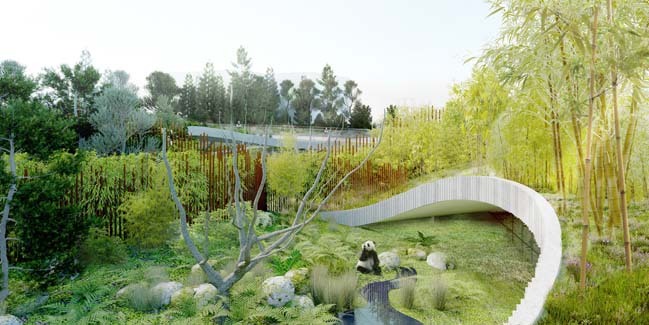 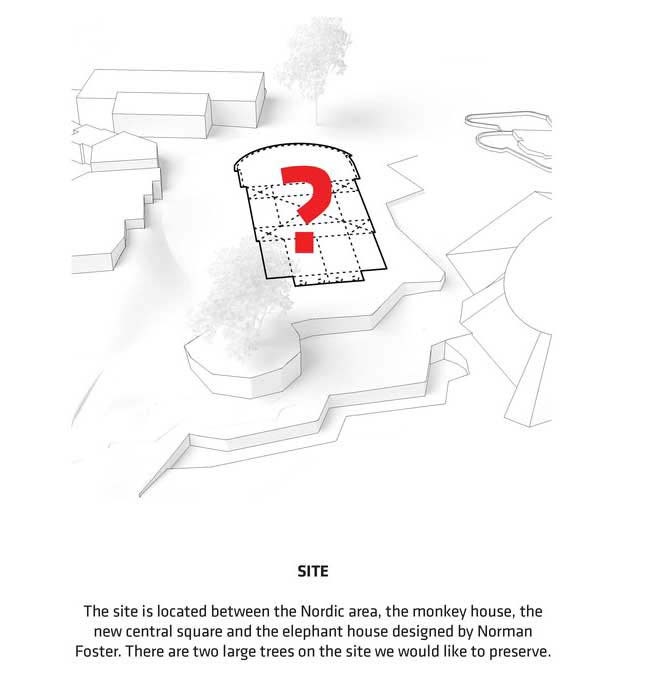 The Panda House consists of two floors: the ground floor, where access to the interior spaces are connected by a ramp circulation, and the second floor, which can lead to a trip along the rocky slope, through the native Nordic plants and into the dense bamboo forest. 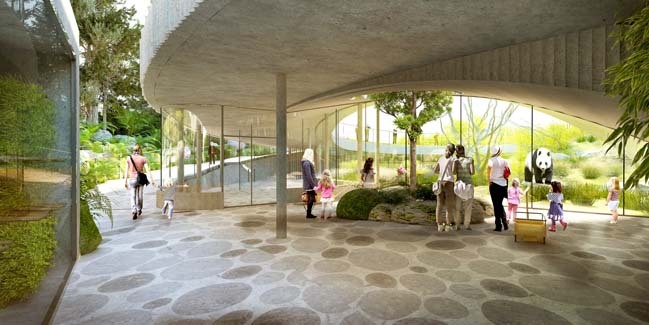 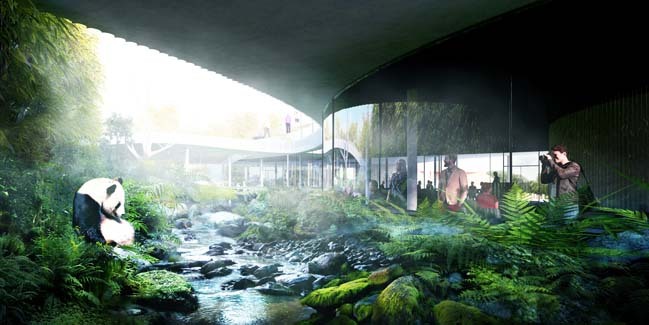 All interior functions are designed to have the lush landscape at eye-level – engaging the visitors’ sense of wildlife and immersion within nature. 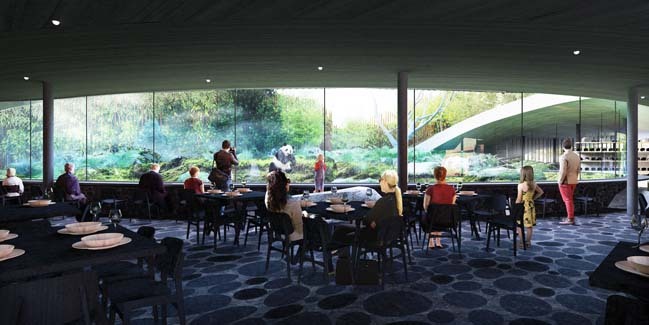 The ground floor of Panda House also encompasses a restaurant, located between the elephants and the pandas - visitors can dine while observing both animals simultaneously. There is also a shop connected between both animal houses and the Main Square, situated just outside of Panda House.